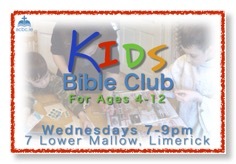 You are invited to join us in any of our weekly meetings. You will be amazed by what you learn from the Word of God. What should you expect? (Click Here) Find out about us. 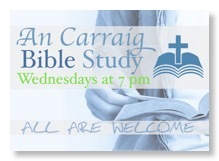 Nestled on the border of County Limerick and County Clare, An Carraig Baptist Church is conveniently located in Limerick City. Limerick is a lovely town that features many brilliant attractions such as King Johns Castle, the Hunt Museum, Lough Gur, and many restaurants. There are loads of things to do in Limerick City. 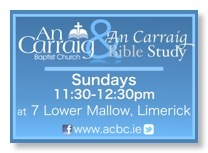 Why not add An Carraig Baptist Church to your list? If you find us helpful, we would love if you could write a review in Facebook, or Yelp. Thanks a mil.